It seems like we are living in the age of the open workspace. These days, it isn’t uncommon to walk into an office and see employees working side by side at conventional tables or desks that are laid out end to end. In some circles, business owners and managers believe that having open spaces at work encourages greater employee interaction, collaboration, and camaraderie. In other circles, though, there are companies, managers and workers who would prefer to operate in a more traditional work environment. Certainly, there are plenty of arguments to be made for the benefits of segmented workspaces. For instance, while some may find that more open offices promote better flow of information, others could counter by arguing that open workspaces create endless distractions and impair productivity. Another factor to consider is that your employees might just prefer their privacy while they work on individual tasks. There have even been studies to suggest that employees can enjoy psychological benefits just by having a personal workspace to decorate and make their own. At Office Direct QLD, we sell affordable office furniture solutions in Brisbane that you can use to balance the benefits of ‘open’ and ‘closed’ workplaces. For example, by using our office partitions in your Brisbane office, you can break up the workspace and give your employees personal and private workspaces. At the same time, these workspaces are not completely separated from one another. On the contrary, just by standing up or raising your voice a bit, you can communicate with the person in the next cubicle. Cubicles make staff communication easy without introducing the noise and chaos that completely open workspaces often engender. Unsure about which style of office divider would suit your Brisbane office the best? 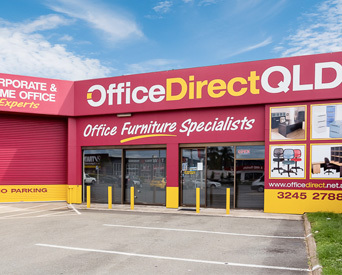 Start shopping at Office Direct QLD today. We stock a range of different office divider solutions, from single partition frames to desks that incorporate dividers into their designs. We even have a modular partition that you can use to create a ‘wave’ or ‘curve’ somewhere in your office. Click here to view our full range of office partition products in Brisbane. With such an eclectic range of office dividers, Office Direct QLD has the right partition solution for any company in Brisbane. No matter your office size or floor plan and no matter how you wish to divide your various teams and employees, we can help you find the right partition or screen for the job. We also stock a variety of different desks, desk chairs and other office furniture that you can use to plan the perfect segmented office design. From improved concentration to boosts in privacy and belonging, personal workspaces still have plenty of perks—even in this age of open workspaces. If you are designing a new office and want to keep it somewhat segmented, or if you have tried an open office design and want to go back to the traditional way of doing things, Office Direct QLD can help. Call us on 07 3245 2788 for office dividers and other affordable office furniture in Brisbane.